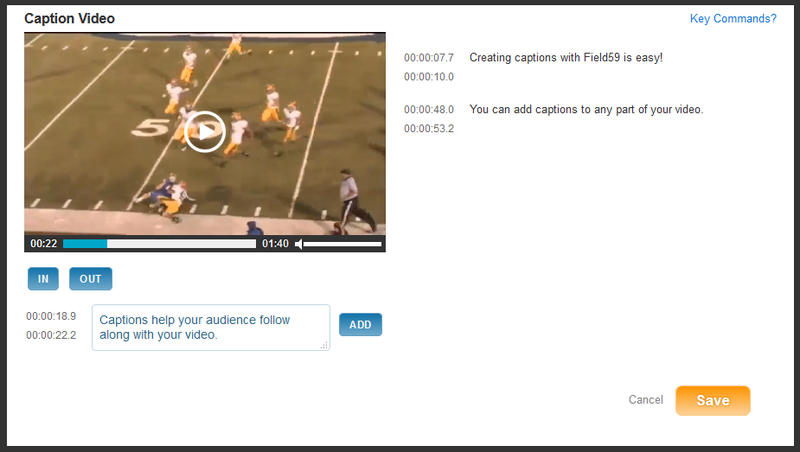 Field59 users can easily add or edit captions to any video that is created in the manager. First make sure you are in the Videos list view by checking that the Type drop-down menu is set to Videos. To open a video item, hover your mouse over the item you want to edit, then click the gear drop-down menu and select Edit Info. (You can also single-click in the blue area to edit an item.) You’ll then be taken to the Edit Video screen, where you can change a number of different things associated with the video. On the Edit Video screen, locate the Closed Captions area on the right side. Click the Create button to add captions to a video that does not currently have them. (If the video has existing captions that you’d like to edit, click the Replace button.) 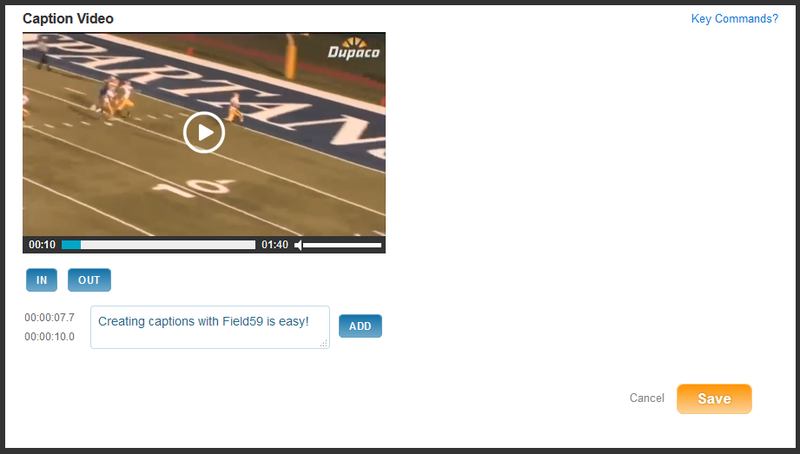 A new Caption Video window containing the video clip, a few buttons and an area to enter text will appear. Click the play button in the video player to begin playing the video. As the video plays, click the In and Out buttons to set the In and Out points for the segment of video for which you’d like to create a caption (or just begin typing and press the Enter key on your keyboard when done to set in/out points — see the “Keyboard shortcuts for power users” section below). Enter your captions for this portion of video. Keep your In/Out points to fairly short amounts of time to limit the amount of caption text your viewers will have to read at one time. Click the Add button when you are satisfied with your caption text for this portion of the video. You will see the captions added to the right of the video in the transcript area. Continue to set In/Out points as needed and add captions as needed until the video is complete. 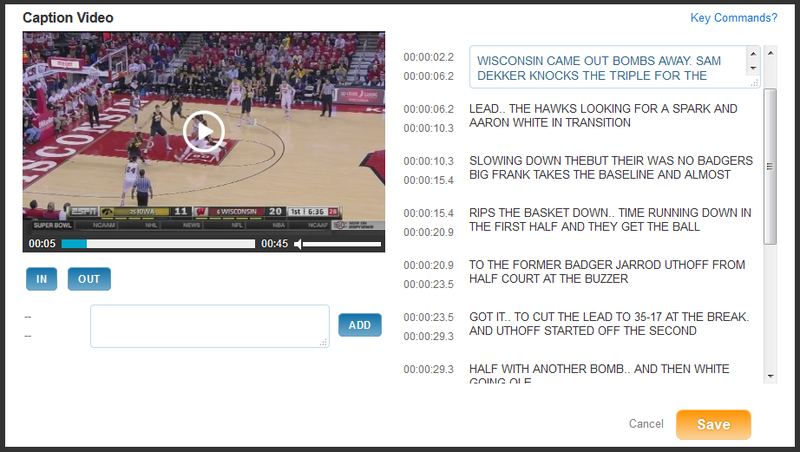 If your video already has captions and you wish to edit them, double-click any segment on the right in the transcript. This will allow you to edit that existing line. If you would like to edit the time stamp In/Out points themselves for a given line, click In/Out at the correct point in the video while you are editing that line. When you are satisfied with your captions, click Save to close the captions editor. Finally, click Save on the bottom of the Edit Video page to save your video item. 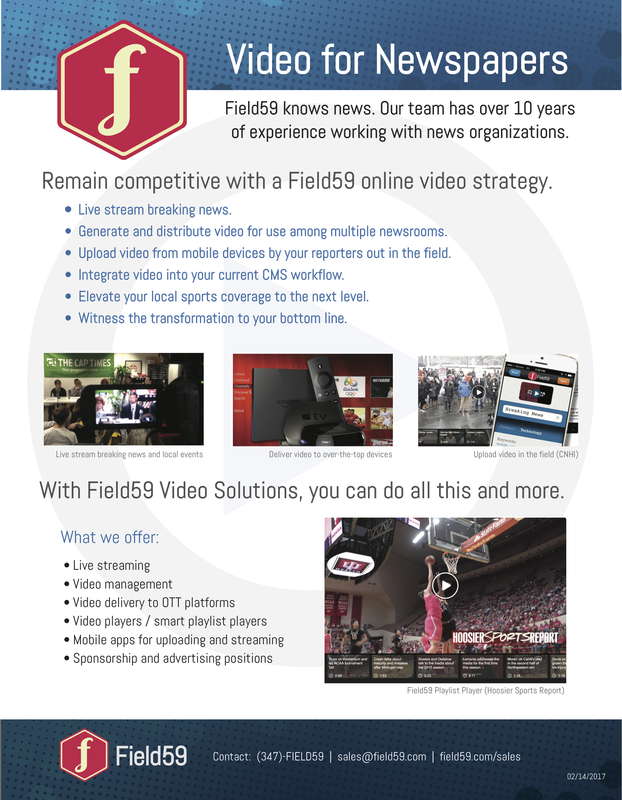 This will send the video through the transcoding process to create new embedded captions and a new sidecar caption file. There are shortcuts that allow you to quickly perform the above actions. These are listed under Key Commands? in the upper-right portion of the Caption Video screen. 1. Use Shift+[right arrow] to start playing the video. 2. Begin typing as soon as you hear speaking. The In point is set automatically. 3. Press Enter when the speaking stops and you are done typing. The Out point is set automatically, and the line moves to the transcript at right. 4. Repeat the steps above as needed to the end of the video. 5. Fine-tune text and time stamps in the transcript area as needed.